New Year's in Fernando de Noronha. 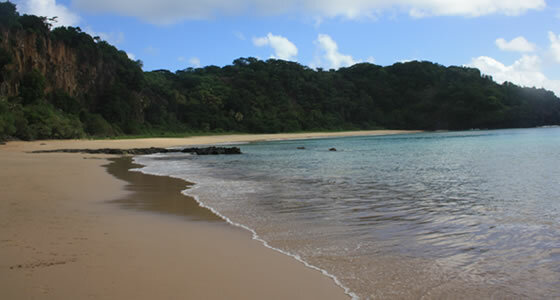 So, you've been wondering how's New Years' celebration in Fernando de Noronha? Get all the answers plus usefl tips from our local experts, learn about the package options for New Years' Eve before you go. Though this is one of the high seasons at Fernando de Noronha, New Year’s or Reveillon as it is called in Brazil as well is not celebrated with as much pomp and show as the rest of the country. While most of Brazil brings in the New Year with huge street parties, musical extravaganzas and the accompanying festivals like the Iemanja festival, choosing Fernando de Noronha to bring in the New Year is suitable if you wish to do so relatively quietly, far away from huge crowds, fireworks and loud noise. Several tour operators offer special packages from big Brazilian cities to Fernando de Noronha around the time of carnival and New Year’s for those who want to escape to the lushness and tranquility that is Noronha.